Welcome to Psychic Annie your home for spiritual and accurate psychic tarot readings and angel card readings WORLDWIDE. Do you need guidance in your love life, career, life purpose, health, family relationships, how to clear your karma, connect with your guides, grow spiritually, how to channel with the angels? Would you like a Spiritual Healing or Intuitive counselling? You have come to the right place! All of this and more available here, please read On! 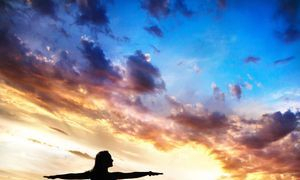 "With guidance from Annie you are able to connect into the magical and enlightened energy of the spirit world and angels to help you move forward in a positive and fulfilling direction." "A reading and healing with kindness, compassion, empathy, and accuracy to help you shine and feel empowered"
Psychic Annie is an experience Healer and her readings are full of spiritual insight and ways to heal your life, she is a channel to the spirit realm and works with the Angels, the Divine, her spirit guides and the elementals to bring forward this information for you. Psychic Annie is a Medical Intuitive and is dedicated to helping her clients to improve health and vitality. She uses her natural intuitive skills to help read and heal the human energy field and restore the body back into balance. Psychic Annie is a qualified Angel and Tarot Card Reader, A Spiritual Medium and Healer, a Theta Healer, Naturopath and Energy Medicine Practitioner. Her natural healing techniques are used within her readings to help restore peace and equilibrium. Psychic Annie provides Tarot Mentoring to students who are really wanting to grow and develop their reading skills and intuition. Her classes are fun and interactive and really get you tuned into how to read the cards effectively for accuracy and positivity! New Moon May 25th has just gone up!! Lots love going around! Order a video reading where Psychic Annie will connect with your energy and the questions you need help with right now. It is so exciting, just like having a LIVE READING, delivered right to your inbox! You will get to witness and see your card spread, as she spiritually explains what she senses and feels for you at this time. You can ask questions around your love life, family, career, health, life purpose, spiritual direction, finances, soul purpose, spirit guides, past lives or to connect with loved ones. With MEDIUMSHIP READINGS it is just like having a conversation with your loved one, ask questions that you need answers too. She uses sacred tools to connect, along with divination with charms and cards. Very mystical, magical and a healing experience for you. 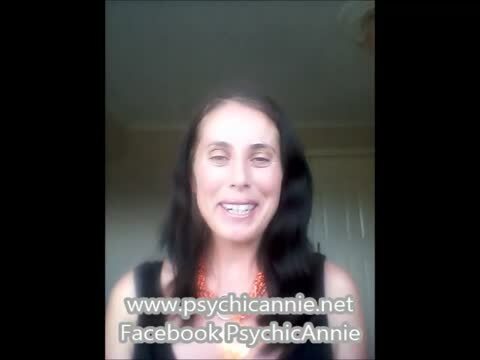 Have a listen to Psychic Annie and how she works on this video! Connecting with her spirit guides angels for a reading in nature!